On February 12, 1776, Mary Young, Polly as she would be known to family, was born to William and Rebecca Young in Philadelphia at a pivotal time for the family and nation. 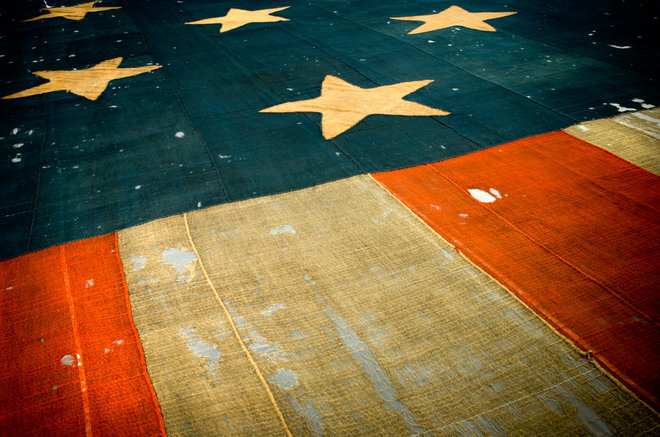 Two years later in 1778, the death of William would be the catalyst for what became a successful military supply and flag making business for Rebecca throughout the American Revolution. 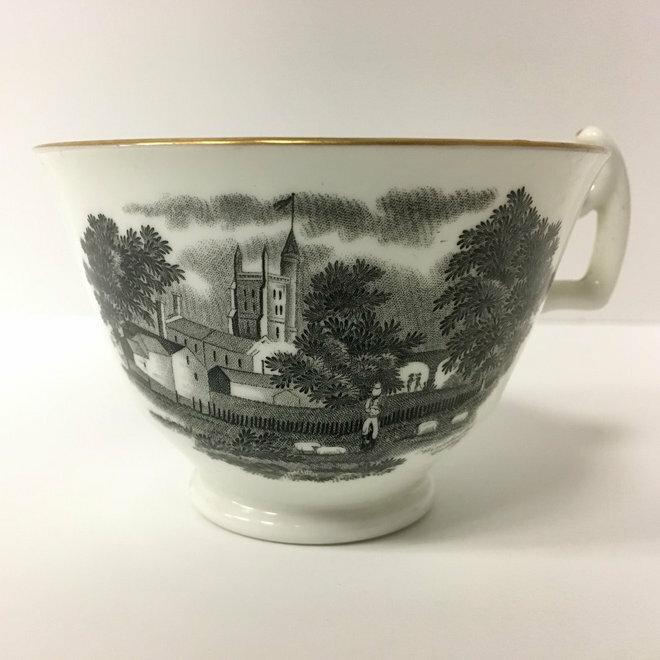 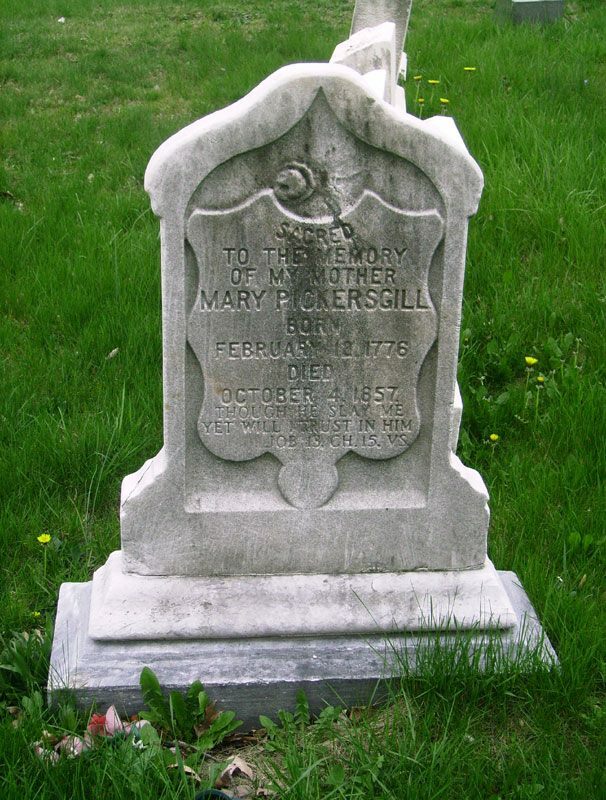 In 1805, Mary faced the same circumstance her mother did nearly three decades earlier when her husband, John Pickersgill dies suddenly while in London. 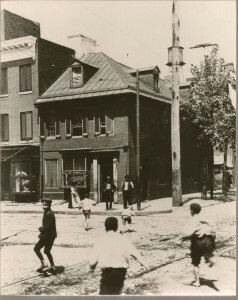 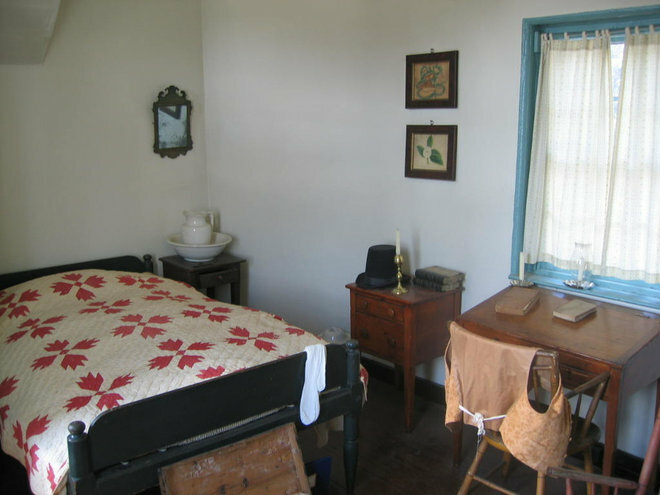 After the loss of her husband Mary moves from Philadelphia to Baltimore to be closer to her siblings and to share the little house at the corner of Queen (now Pratt Street) and Albemarle Streets with Rebecca. 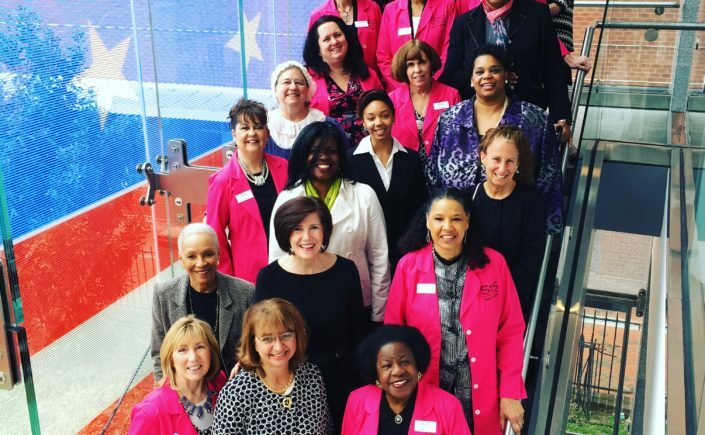 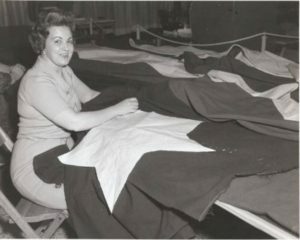 Using Rebecca’s Philadelphia business as a model, the women saturate the Baltimore market with flag making advertisements, as many as ten over two months. 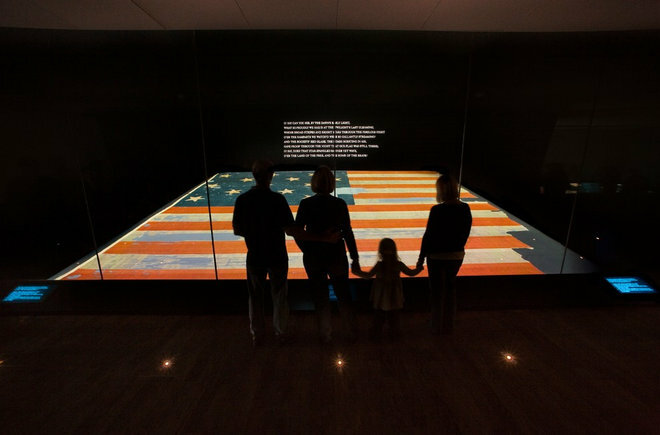 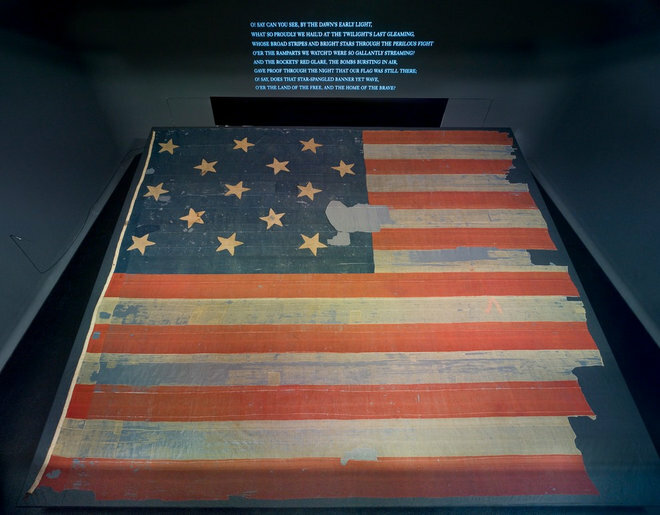 Their skill and reputation for quality work resulted in the Mary receiving the commission for the 30’ x 42’ Star-Spangled Banner in 1813. 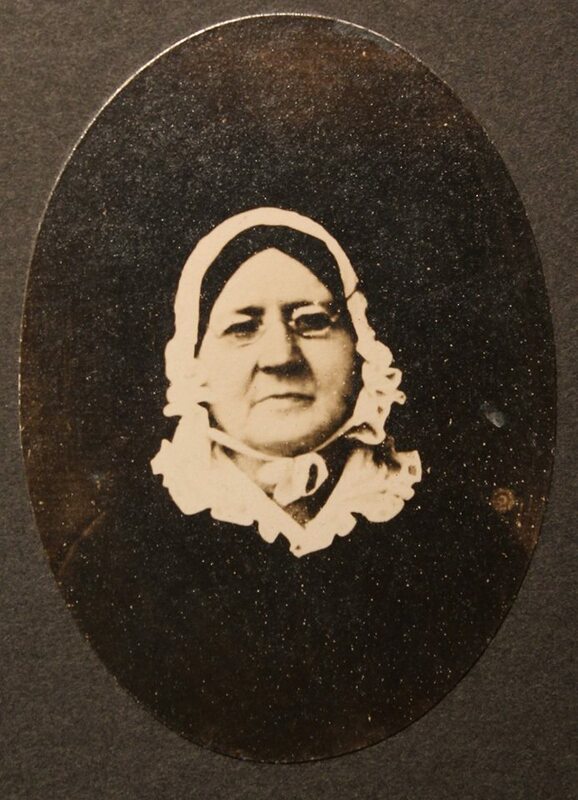 The last known receipt for a flag made by Mary Pickersgill dates to 1815 and the flag making business seems to have been shuttered when Mary’s daughter Caroline Pickersgill marries iron merchant John Purdy in 1817. 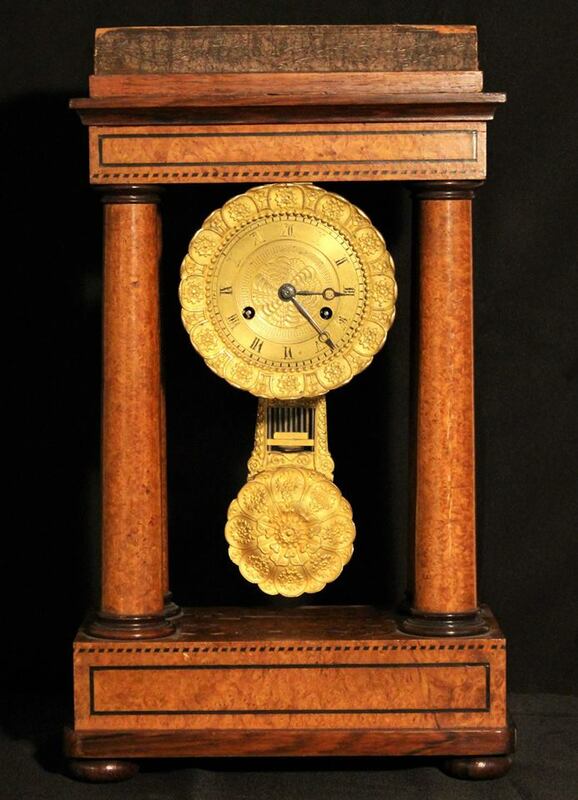 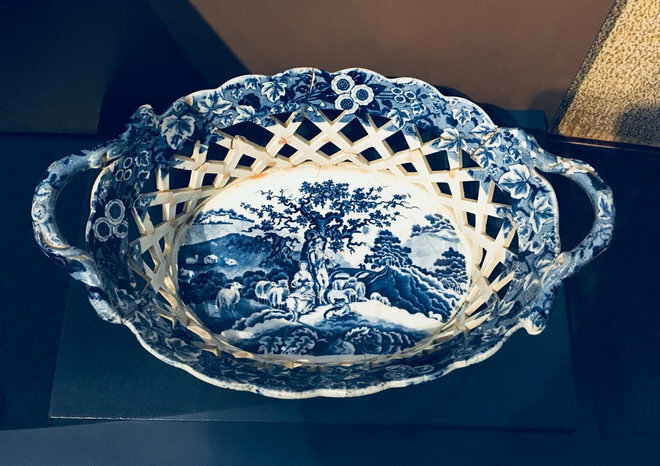 Mary had experienced the hardship that the death of the male head of household could inflict upon a family, especially for the mother and wife of the late 18th century and early 19th century. 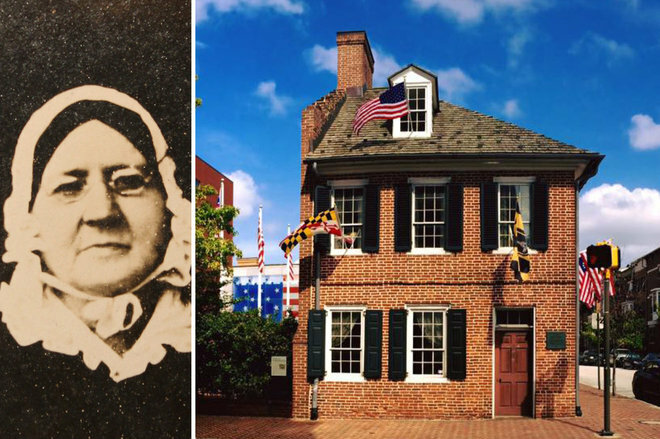 Around 1818, she began to devote her time to supporting Baltimore’s widows and orphans through her involvement with the Impartial Female Humane Society and would dedicate the remainder of her life to the organization. 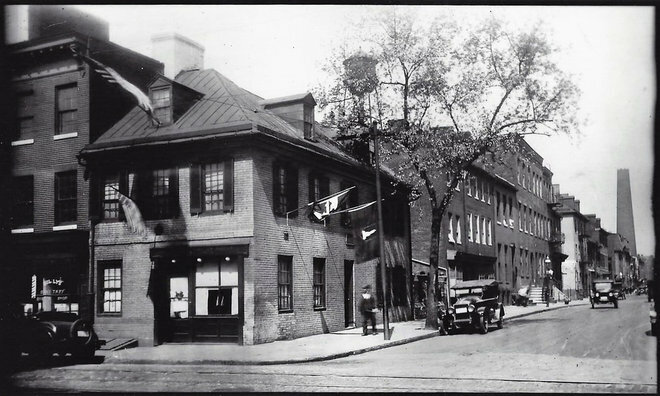 Founded around 1801 and incorporated in 1811, the Society was established for the purpose of employing and providing relief to widows and educating orphans. 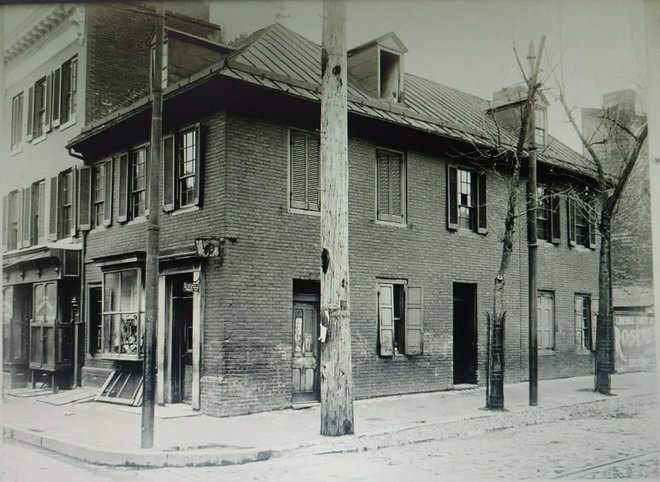 In 1828, Mary is elected president of the Female Humane Society and organizes successful campaigns to raise the wages of Baltimore’s seamstresses and fund the construction of an aged women’s asylum opened on October 28, 1851. 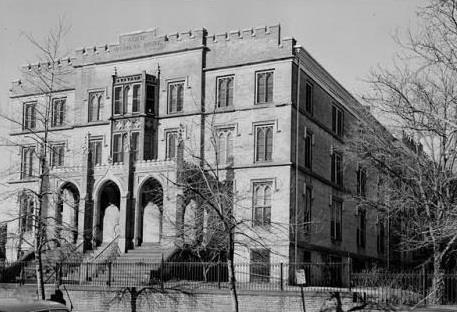 The Aged Women’s Home and later male facility stood at Lexington and Franklin Square in West Baltimore until the mid-20th century when the facilities relocated to Baltimore County. 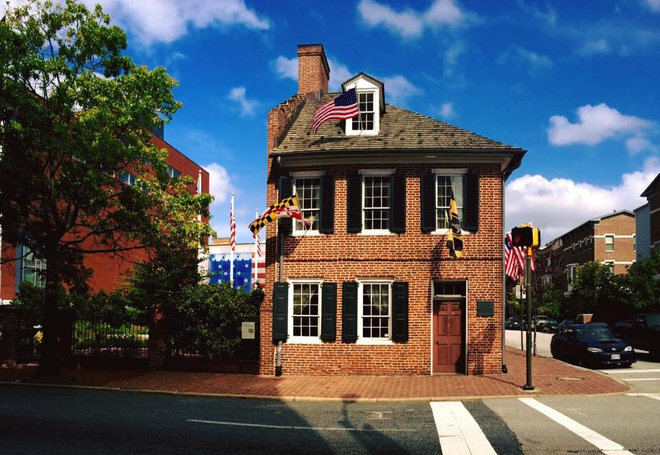 The Pickersgill Retirement Community still bears Mary’s name as a nod to her legacy of work benefitting Baltimore’s destitute widows and elderly women. 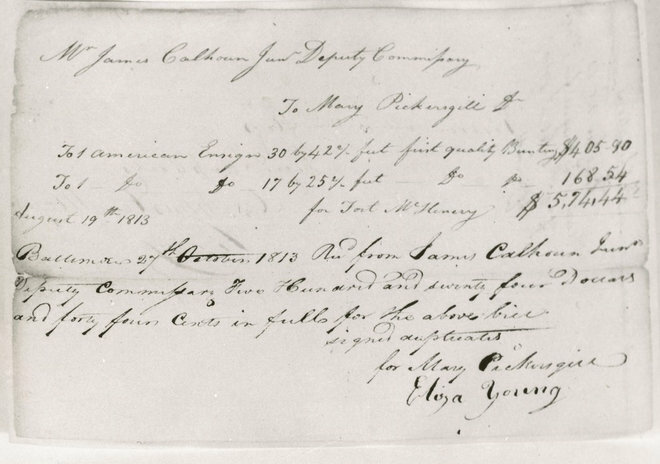 Last known receipt for a flag made by Mary Young Pickersgill in 1815. 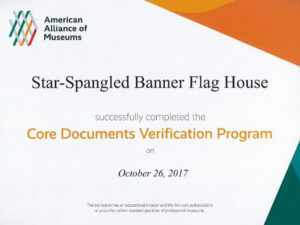 She was paid $120 for a flag measuring 24 ½ ‘x 15’. 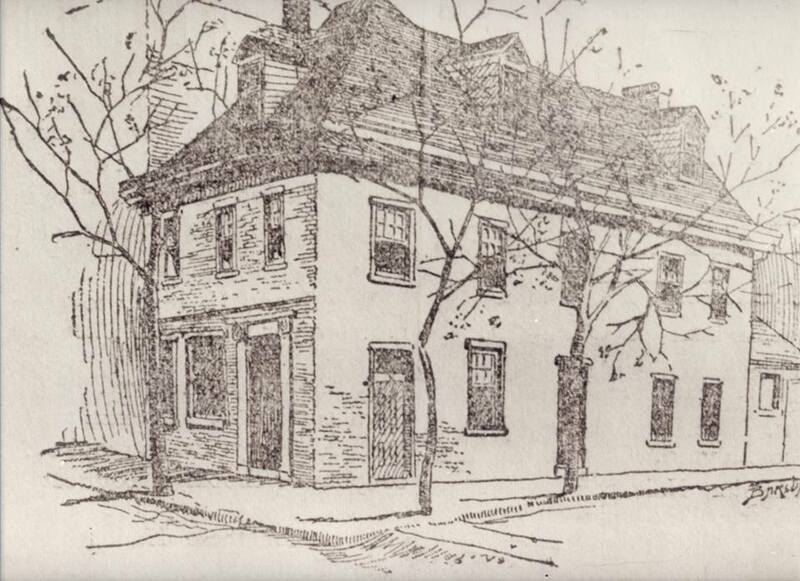 First known drawing of the historic Flag House. 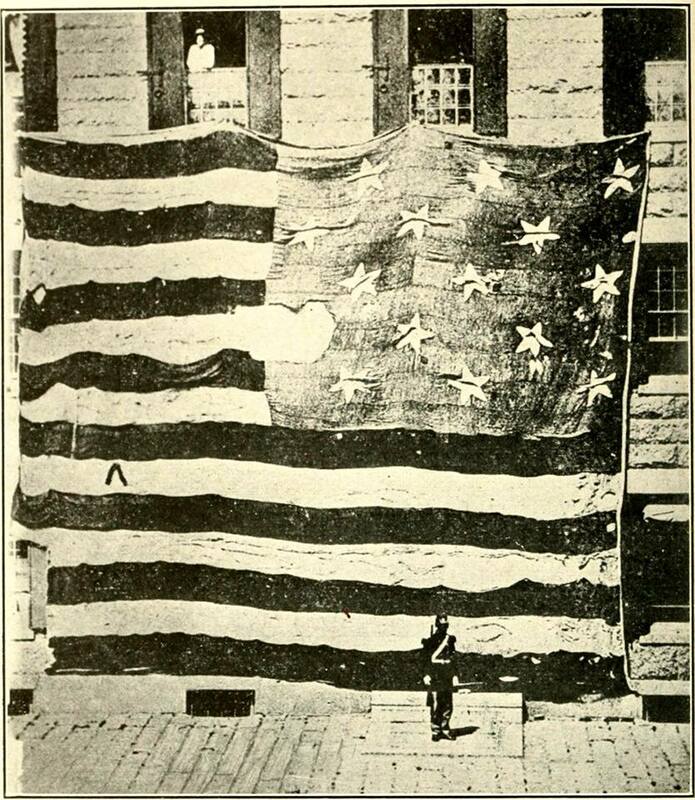 The Star-Spangled Banner was photographed for the first time in 1873 in the Boston Naval Yard, where a marine was put on guard while it was displayed. 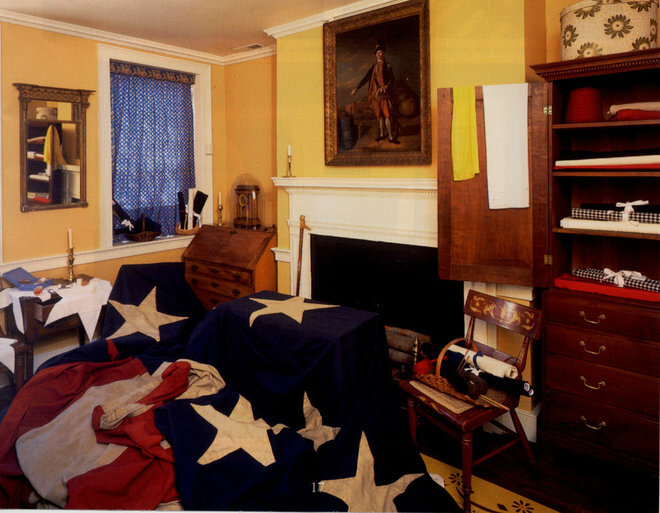 New Digital Collection from the Flag House Coming Soon! 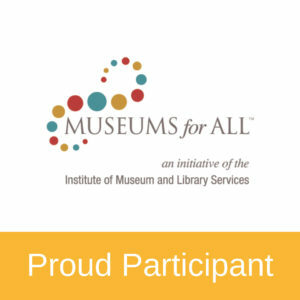 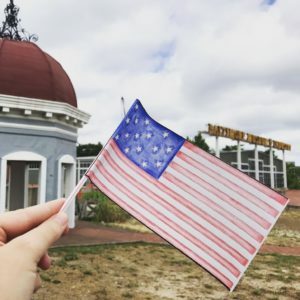 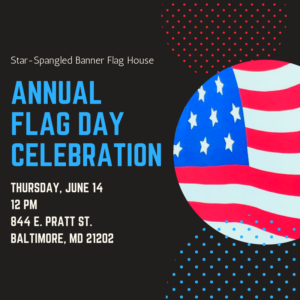 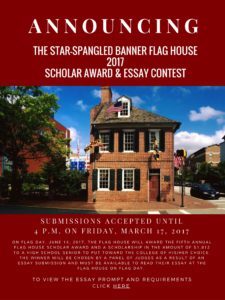 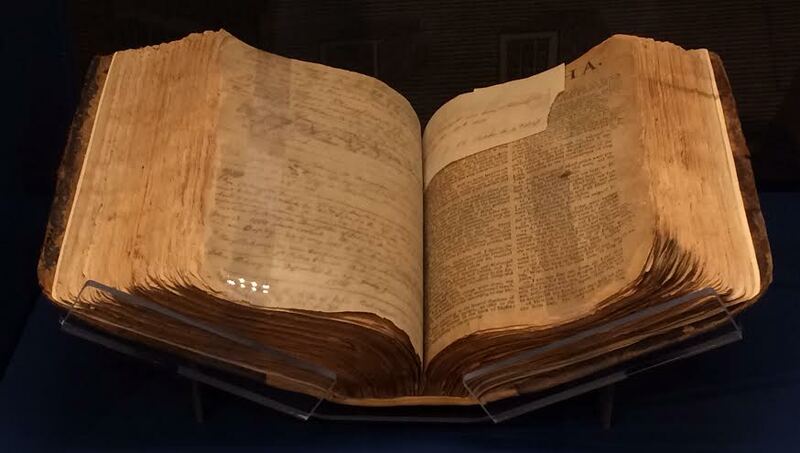 The Star-Spangled Banner Flag House is partnering with Digital Maryland to digitize a large collection of family letters and household ledgers from the Pannell family of Baltimore and Harford County. 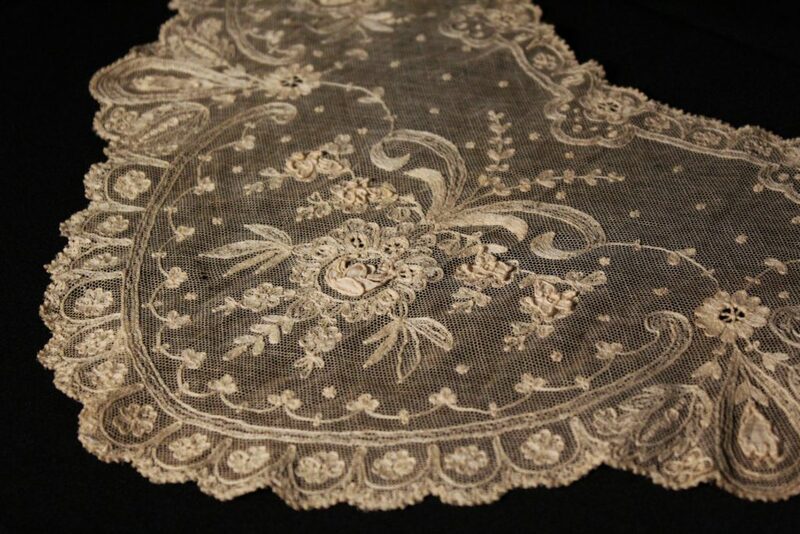 The collection will be available for online viewing in late fall 2018. 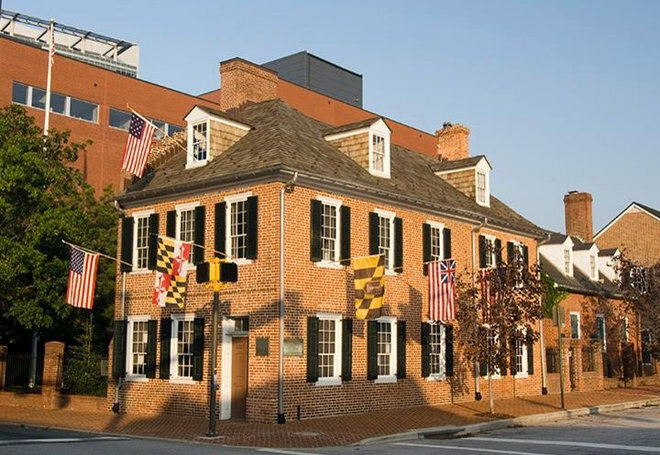 Born in Baltimore on 21 May 1784, James Pannell was the first president of the Mutual Fire Insurance Company of Harford County where he settled with his wife Susannah around 1813. 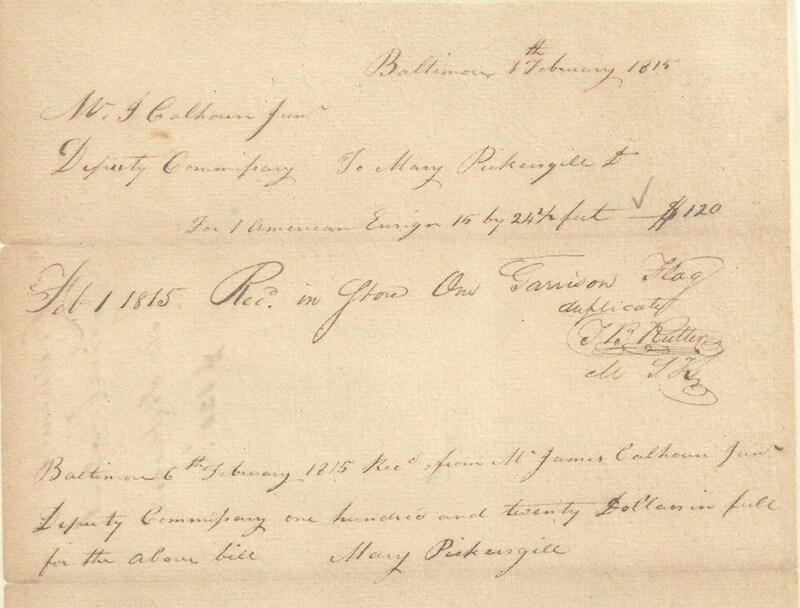 Pannell was well educated and traveled extensively as this letter, written during a trip throughout Virginia, confirms. 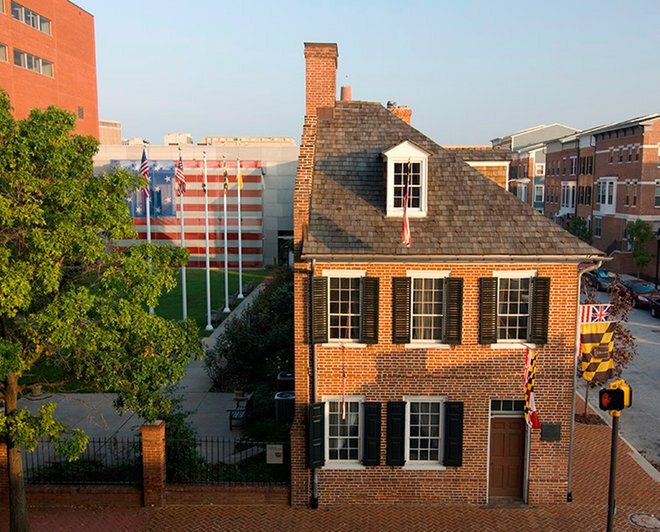 He was a gentleman farmer and member of the Uniform Volunteers Company, Fifth Regiment, in the Maryland Militia (Baltimore Independent Blues) serving in Baltimore during the War of 1812. 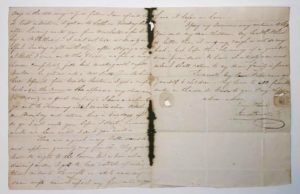 Click the photo to read a full transcription of this letter from James to his wife Susannah dated August 6, 1812.